"Our understanding of IoT is not just connecting devices and sensors and store as much data as possible. It is about smart applications that makes use of the data to improve processes, efficiency, reduce environmental resources and costs." 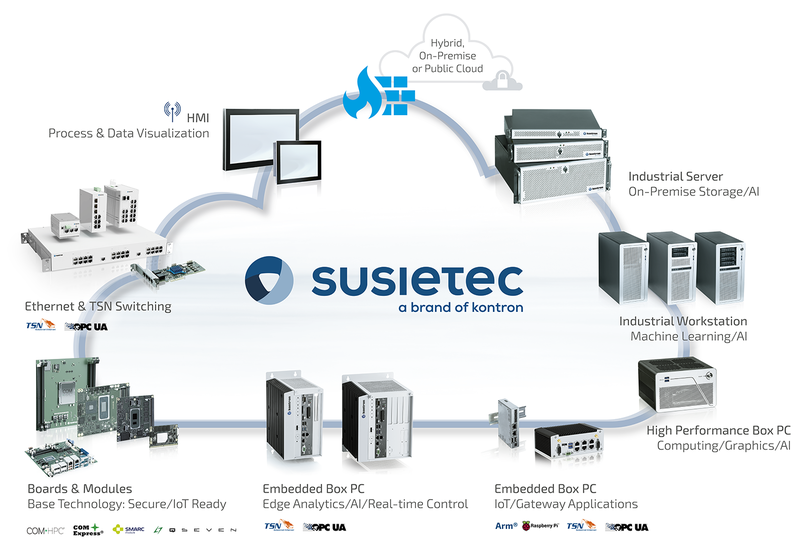 As a leading supplier of industrial computer platforms and solutions, Kontron and S&T provide a complete IIoT portfolio including hosting and service offerings out of one hand. Based on the Embedded Cloud, Kontron offers Edge devices in order to gather and pre-filter telemetry/sensor data from the field and to provide it to the more powerful on-premise industrial or fog and cloud servers for further data processing like Artificial Intelligence, storage and virtualization. For specific applications, Kontron provides custom solutions based on Boards & Modules or Ethernet switches. Kontron’s software and service offerings provide a completely integrated platform infrastructure and maintenance to allow our customers to focus on their core business.